I finally got a chance to watch Canelo vs. GGG 2 and after all the hoopla over the decision I must say that the right man won. Let me start off by saying I scored the fight 115-114 in favor of GGG. So I guess you want to know why I feel like Canelo was deserving of his victory. I thought you’d never ask. Canelo flipped the script on GGG. He put pressure on him and kept him on his heels for a majority of the fight. Golovkin was not prepared for that type of fight and only seemed to establish any control in the ring during the later rounds when Canelo was getting fatigued. It was a brilliant strategy by Alvarez and it allowed him to sway the judges in his favor. The judges don’t have the advantage of Compubox during the fight and punches landed isn’t the end all be all of a boxing match anyway. Sure, GGG outlanded Canelo but many of those were meaningless jabs. A jab is typically used by a fighter with the reach advantage to control the pace of the fight and to keep the other guy off balance and out of attacking range. Golovkin’s jabs did neither. Alvarez kept coming forward and GGG looked overwhelmed out the gate. Max Kellerman made a very poignant statement. He said that “Canelo was winning the story of the fight.” That singular quote summed up the fight perfectly. The story coming in was that Golovkin was the stalker and Alvarez was the evasive counter puncher. But once the bell sounded, it was Canelo who was walking down GGG and having him circling away from his power. He changed the narrative. He made it “look” like he was winning. And speaking of Compubox, that always isn’t the best way to determine who won the fight. As I stated before, a lot of the punches Gennady landed were jabs. A lot of the punches Canelo landed were jarring power shots. Perception is reality. 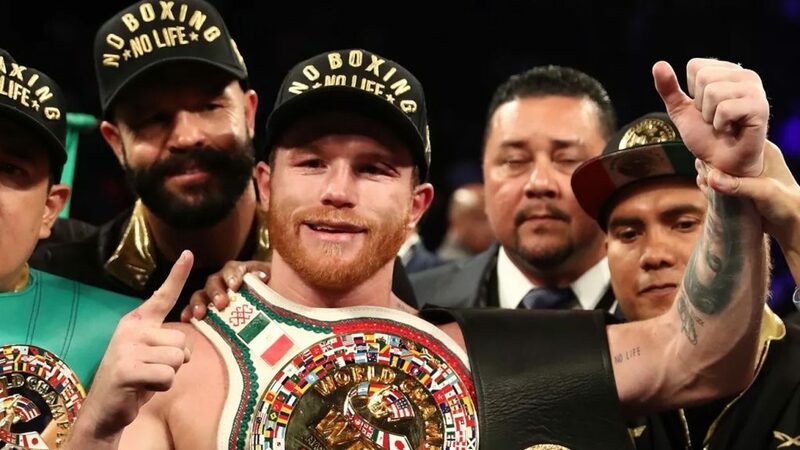 The perception to the judges for most of the fight was that Canelo was in control and landing more meaningful blows while Golovkin was forced to fight a style that was unfamiliar and uncomfortable to him. He looked weary from retreating early and often and Alvarez’s body shots were sucking the life out of him. The main thing here is there was no reason for the uproar. In no way was that an outlandish decision. It was an extremely close fight. With the way Canelo imposed his will in the early going, Golovkin needed a knockout or to dramatically change the trajectory of the contest. He did neither of those things. He had his moments, like in the 10th rd. when he had Canelo stunned but Canelo didn’t stop. He kept putting pressure on his opponent and leaving his mark on the fight. We can’t blame the judges for awarding him the decision. Judges are still human. And as humans, they watched a man do what many thought was impossible. Canelo turned GGG into a gazelle evading a lion on the Serengeti. Golovkin is used to being the lion. Magic Johnson, Luke Walton Should be Elated to be out of L.A.